When the controversy concerning the authentic establishment of the Devotion to the Sacred Heart was at its height, those who opposed its approval by Rome raised an objection: if the request for such a Feast were granted, a request for a Feast in honor of the Immaculate Heart of Mary would inevitably follow! The objection was valid, though hardly in the sense intended. 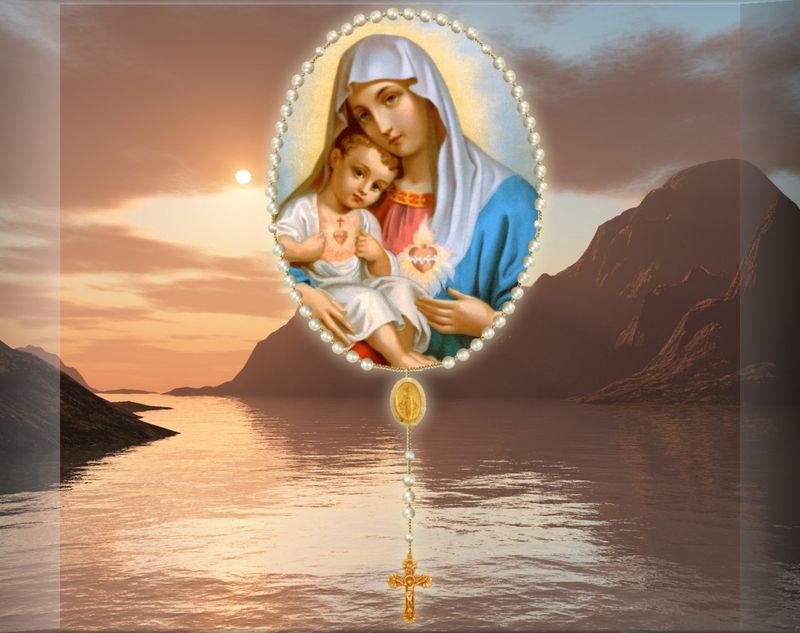 It was indeed according to the Divine plan that the Heart of the Mother should follow the Heart of the Son in the public cultus of the Church. Although mentioned but sparingly in the pages of this book, Our Lady has been present throughout; she who first "pondered these things in her heart" has alone practiced perfectly Devotion to the Sacred Heart, for she alone can give to her Son the fullness of love that His Heart desires. The two devotions run parallel along many lines. Both spring from the same root dogma of Christianity, the Incarnation; at the Council of Ephesus it was declared that Mary was rightly to be called the Mother of God because she is the mother of the Man who is God in virtue of the hypostatic union, and all honor paid to her follows from this prerogative. Both have their roots deep in Scripture, where the heart of the mother in the Gospels responds to the call of the Lover as only a heart conceived without sin could do. Both have been an integral part of the life of the Church from, the beginning, latent and implicit at first, developing specific roles and forms as the centuries passed. And in our own times the Vicar of Christ has united the two inseparably in Haurietis Aquas. But this very development reveals also the fundamental difference between the two devotions, a difference which follows from the theological relations between them, and enhances the glory of each. It is the same difference which exists between the Creator and His perfect creature: the one is adored for His Own sake, the other is honored for the sake of the only Adorable. To the theandric Heart of Jesus is given the worship of latria; to the purely human heart of His Mother that of hyperdulia. The Mother reflects all glory and love back to her Son. The proper object of the devotion to the Immaculate Heart is, then, the physical heart of Mary considered as a symbol of her love for God and for men; it refers to the person of Mary as revealed in her interior life and her apostolic love for souls; and that person is the Mother of the God-man and of His Mystical Body, the Church. As the Church and the entire human race were consecrated to the Sacred Heart of Jesus, so that, reposing all hope in Him, He might become for them the sign and pledge of victory and salvation, so we in like measure consecrate ourselves forever to thee and to thine Immaculate Heart, our Mother and Queen, that thy loving patronage may hasten the triumph of the Kingdom of God; and may all peoples proclaim thee blessed and with thee raise their voices to resound from pole to pole in the chant of the everlasting Magnificat of glory, love and gratitude to the Heart of Jesus, where alone they can find truth, light and peace.